Marijuana Doctors is proud to partner with industry leaders and experts, who support utilizing medical marijuana for documented medicinal purposes. Our partners help ensure we meet industry standards and support methods to provide safe and reliable medical cannabis for our patient’s treatment needs. The American Academy of Cannabinoid Medicine is a clinical medicine association made up of experienced clinicians and researchers who support the medical use of cannabinoids. Their focus is on the application of studies of cannabinoids and the endocannabinoid system. 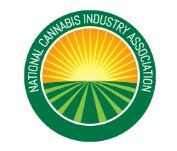 The National Cannabis Industry Association (NCIA) is a national trade organization solely seeking to advance the responsible use of medicinal cannaibs for treatment purposes. They support and understand the needs for cannabis use for medical treatment, while ensuring legal obligations are met. The Minority Cannabis Business Association (MCBA) is a non-profit organization created to educate and support the progressive movement of increasing diversity in the cannabis industry by actively empowering diversity within cannabis businesses, patients and communities. By increasing awareness, the MCBA hopes to enhance knowledge in minority communities about the safe and legal use of medicinal cannabis, with the intention of reducing the amount of people imprisoned for non-violent cannabis acts. 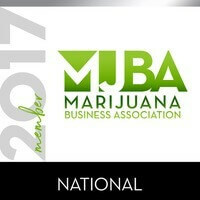 The Marijuana Business Association (MJBA) is a national organization furthering our efforts to enhance the legitimacy and integrity of the cannabis industry. For this reason, MJBA’s mission is to help business owners and individual supporters develop the best ethical business practices to further the development of this emerging industry. The Americans for Safe Access (ASA) organization provides information about the legal use of medical cannabis and material for medical professionals on how to use medical marijuana in their practices for patient treatment by instilling confidence in our professionals. The proper education for legal therapeutic use is at the forefront of their mission to break down political, legal, academic and social barriers nationwide. Affinity Bio Partners (ABP) provides global clinical research to facilitate the safe and ethical development of drugs, biologics and natraceuticals, In doing so, patients can benefit from new medical treatments like groundbreaking cannabinoid research.